Monument. This well-known London landmark was erected during the 1670s and is a hollow column 202 feet high designed by Sir Christopher Wren and Robert Hooke. It commemorates the Great Fire of London in 1666 and the height of the monument is said to be the exact distance from the baker’s shop in nearby Pudding Lane where the fire started. 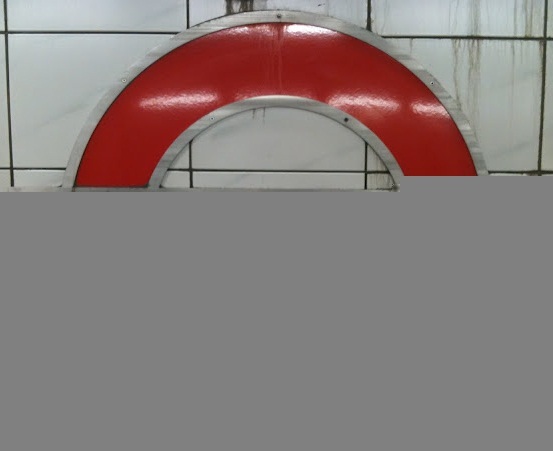 Prior to the station's opening it was, for a time, referred to as KING WILLIAM STREET, but it was opened as EASTCHEAP on 6 October 1884 and re-named MONUMENT on 1 November 1884. 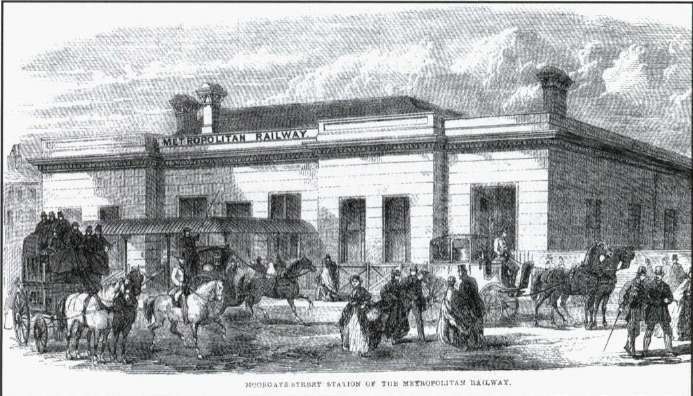 Moorgate station soon after opening in 1865.